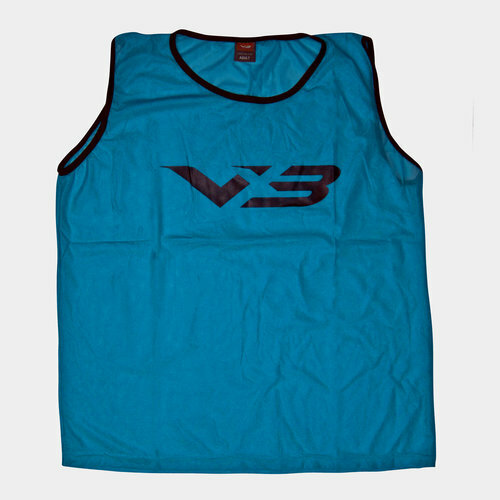 An essential for any team during practice drills and pre-match warm ups, kit out your players with the VX-3 Mesh Training Bib in Ocean Blue. This training vest from VX-3 is made from lightweight polyester material and has a loose fitted mesh design for non-restrictive breathability. Coming in a bright Blue, these bibs bring high visibility on the field in all conditions and helps differentiate teammates for training exercises, making it ideal for a coach's bag. An essential for coaching of all team based sports, make sure your players are wearing the VX-3 Mesh Training Bib for every training exercise and drill so they can be prepared for the games that matter.